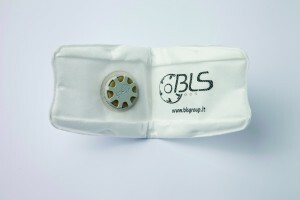 BLS Italian manufacturer of respiratory protection products, establishes its own production line and headquarters in Milan, designing and internally building cup shaped filtering face pieces production lines. Target market is Italy at first, and high quality materials allow BLS to pursue a fast growth. Always bearing in mind market needs BLS, upon EN 149:1991 coming into force, that defines material standards for filtering face pieces while setting three protection levels (FFP1, FFP2, FFP3), conforms its production lines in 1994, guaranteeing state of the art quality for its respirators. Thanks to a stable growth, BLS invests its resources in acquiring Tecnopro S.r.l. in Genoa, manufacturing half masks and full face masks and strengthening the relationship with its partners and completing its product range of negative pressure products which is sold on the market. Constantly monitoring BLS supply chain quality, allow BLS to obtain ISO 9001 certification in 2005, attesting high quality standards. BLS product quality screening and certification is performed by Italcert, an independent institution based in Milan, which is responsible for CE marking on all BLS products and production line audit. New norm EN 149:2001 + A1:2009 comes into place in 2009, introducing a precise distinction between reusable and non-reusable filtering face pieces. It requires marking on filtering face pieces, furthermore it requires performing clogging tests using Dolomite dust. BLS filtering face pieces fully pass these clogging tests, and are certified according to the new norm. 2010 is a remarkable year for BLS, that focuses its efforts to acquire Inair, a Spanish company specialized in anti-particulate, gases and vapors and combined filter manufacturing. Production check is done by a highly qualified R&D department, internally performing product testing. 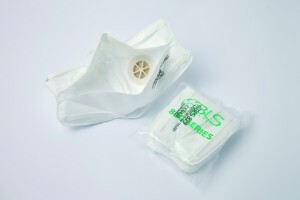 BLS is now able to offer in-house designed products, launching new O2 low-end filtering face pieces line, half mask EVO and 3000 series featuring glass visor. Design and development of these two masks testifies the constant research on products that are specifically engineered upon customer’s needs, body shops in particular. An important showcase for introducing these products is Dusseldorf safety fair A+A, the most internationally relevant event for BLS. This year BLS is going to attend A+A at stand F58, hall 09. Thanks to important achievements on European market, BLS launches in 2012 a commercial branch in Brazil, which is crucial for expanding BLS all over South America. The launch of such branch is made in April at Sicur Chile safety fair, a crossroad for all Personal Protective Equipment manufacturers in South America. Structured strategies for international expansion, allow BLS to reach clients in 58 countries all over the world, mainly thanks to BLS relationship with its distributors. BLS invests greatly in product design, as well as in research and development, testing new materials and cutting-edge solutions. The result of BLS product innovation is Flickit: face pieces featuring innovative opening system, easy and hygienic. Flickit is BLS leading product among filtering face pieces. Flickit is a foldable filtering face piece featuring an astonishing innovation in terms of products usability: an opening system allowing face pieces to be opened without damaging it or dirtying it, in four easy steps. The quick opening system is patented, also Flickit is single packed and pocket sized. Flickit can be stored in user’s work suit pocket once finished, and possibly reused. Flickit tissues are made from strips of filtering material that guarantees a perfect fit to user’s face, higher coverage of its face and low breathing resistance, thereby increasing user comfort. The market is increasingly sensitive to products that minimize metal parts and to avoid possible product contamination, as required by pharmaceutical and food industries, the nose-clip is made of plastic material and placed between fabric layers. Flickit bands are welded and made of thermoplastic elastomer, to offer the market a 100% latex free product. BLS Flickit is available in five different versions, with or without exhalation valve, and three levels of protection FFP1, FFP2 or FFP3. All models have passed Dolomite dust clogging tests of and therefore they ensure highest filtration efficiency for one or more shifts, following EN 149:2001 + A1: 2009 standards requirements. BLS, who strongly believes in sustainable business development, has registered Flickit design at ADI, Italian design institution. An article by Italian RPE manufacturer BLS srl, published by kind permission of BLS srl.